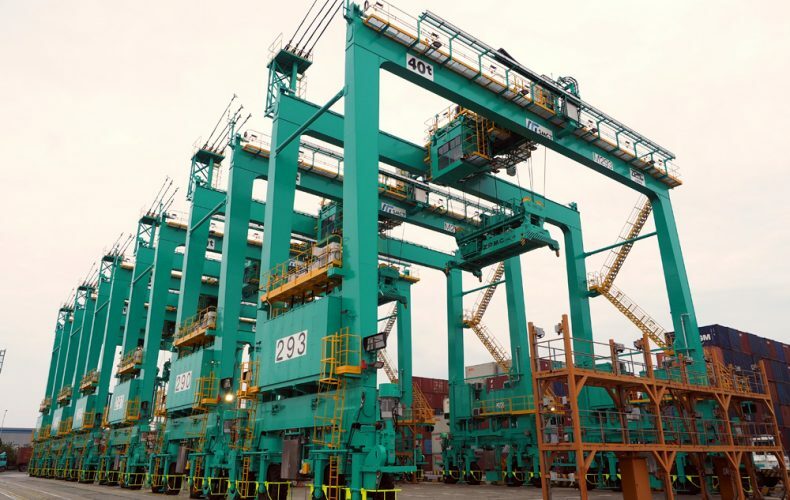 Corvus Energy will provide the lithium ion polymer Energy Storage Systems (ESSs) for an additional nine retrofit hybrid rubber-tired gantry cranes (RTGs) produced by integrator CCCC Shanghai Equipment Engineering (CCCCSEE) making a total of 21 such RTG ESSs in service in Chinese ports. January 11th, 2015 – Richmond, BC – Corvus Energy will provide the battery systems that power nine retrofit hybrid rubber-tired gantry cranes (RTGs) produced by integrator CCCC Shanghai Equipment Engineering (CCCCSEE) for Shanghai Zhenhua Heavy Industry Co. Ltd. (ZPMC), the world’s largest port crane manufacturer. These 9 additional hybrid cranes will bring the overall total to 21 hybrid RTG’s in the Port of Shanghai spanning three terminals: Yanshan, Waigaoqiao and Yidong – the largest installations of hybrid electric port equipment in the world. Approximately 10% of the diesel fuel emissions from cargo handling equipment at ports are emitted by RTG cranes. CCCCSEE’s commitment to implementation of more efficient RTG’s directly lessens the environmental impact of crane operations. 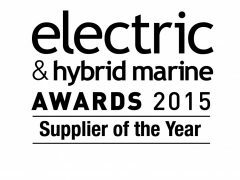 The use of battery hybrid technology substantially reduces fuel consumption and harmful fossil fuel emissions. Regenerative braking energy is captured and stored as electricity when a container is lowered. This recaptured energy is directed to the Corvus ESS, reducing the amount of power required from the generator. In the conventional RTG configuration, the diesel generator undergoes periods of inefficient sustained idling, resulting in unnecessary fuel usage. With the Corvus ESS in place the diesel generator is shut down during traditional idling times, allowing the RTG to operate on “full electric” battery power. Cranes equipped in this manner are proven in the field to operate at optimal efficiency. Unlike conventional diesel electric port cranes, the CCCCSEE hybrid version is powered primarily from the Corvus ESS resulting in fuel savings of up to 65% with the added benefits of reduced operating costs with less greenhouse gas emissions and lower noise levels at the terminal. According to accepted standard emission calculations an energy efficiency program that reduces greenhouse gas emissions by 4,700 metric tons of CO2 per year has the same impact as removing 1,000 vehicles from the road. The 21 RTGs operating with Corvus ESS technology will eliminate 5,300 metric tonnes of CO2 per year equal to removing 1,143 cars from the road each year. CCCC Shanghai Equipment Engineering Co., Ltd. established on January 24, 1998, specializes in maritime engineering and project management. CCCCSEE is mainly engaged in general contracting for design, manufacturing and installation of various kinds of large-scaled working vessels and port machinery. CCCC Shanghai is also engaged in general contracting for the development and integration of communication and computer systems.